Grew Up... an orphan. After her parents died in a car accident, young Utena sunk into a deep depression, from which she was rescued by a mysterious prince who gave Utena a ring he said would lead her to him later. 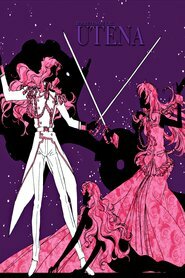 The encounter influenced Utena so deeply that she decided to take the prince as a personal role model, declaring, "I want to be a noble prince who saves princesses." Living... at Ohtori Academy, with eccentric roommate Anthy Himemiya. Though it was hardly like Utena had a choice in the matter. After confronting student council member Saionji for humiliating her best friend, Utena ends up fencing him in a secret arena behind Ohtori, with Anthy on the sidelines. Things only get stranger from there, however, and after Utena wins, Anthy declares that she is now Utena's "bride." Profession... female student who defies dress code by wearing a boys' uniform. Though her admirers don't seem to find. Utena has many fans at Ohtori, most of them girls. Relationship Status... "engaged" to Anthy, the Rose Bride who supposedly possesses “the power to bring the world revolution.” Whatever that means. Utena doesn't care much about world revolution, and she thinks this whole engagement business is kind of dodgy, anyways. Plus, as Utena tells Anthy, "I'm just a normal girl who wants a totally normal boy." Although that's debatable – very, very debatable. Personality... loyal, stubborn, and painfully naive. Utena's heart may be pure, but her fairytale vision of the world often makes her oblivious to the darker intentions of those around her. Still, of all the duelists fighting for control for Anthy, Utena's motivations seem to be the purest: "I don't want the power to revolutionize the world, but Himemiya needs me!" Utena Tenjou's popularity ranking on CharacTour is #608 out of 5,000+ characters. See our top-ranked characters and read their profiles.